1950s - The Information Processing Theory emerges. Check the Instructional Design Models and Theories: Information Processing Theory article and presentation to find more. Throughout much of the 1950s psychologists involved in the Information Processing movement began to view the brain as a neural computer that processes information with extraordinary efficiency and excellent performance in problem solving and critical thinking, through a process increasingly enhanced over time.The idea of Information Processing lies within Cognitive Psychology - I highly encourage you to check Cognitive Load Theory and Instructional Design - and as a theory combines multiple theoretical perspectives that mainly seek to explain human learning as the development of networked memory structures. Sensory memory helps people screen incoming information. Working memory helps people manage and store larger chunks of information, and perform visual-spatial mental operations. Long-term memory serves as a permanent repository, holding all sorts of information that can be accessed at a later time, enabling humans to continually build upon their knowledge base. The information provided by our environment is constantly processed by a complex series of systems. The processing systems modify the information we gather in “systematic” ways. The primary goal of research tasks that delve into information processing is to determine which processes and brain structures are behind cognitive performance. In a learning environment, there are a number of ways in which Information Processing can be applied. 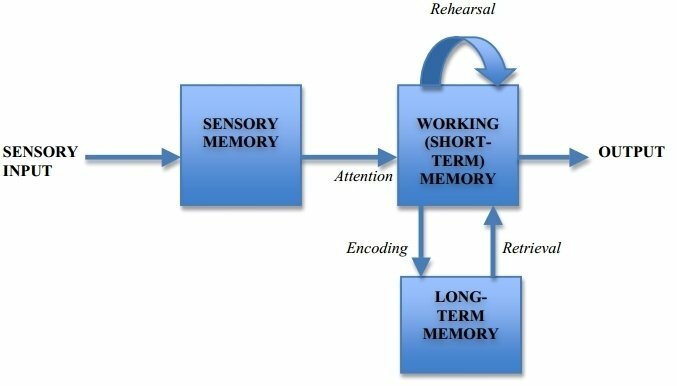 In a classroom setting, learners are continually learning and utilizing memory processes in order to store the information being provided by the instructor. They are also actively retrieving the information required for the lesson. From an instructor’s standpoint, Information Processing is used to help learners to further enhance their respective skills and understand the curriculum presented.A great way for teachers and instructors to practice the information processing skills of their learners is to test their focusing, information gathering, remembering, and organizing skills. Focusing skills involve the determination of a situation and the establishment of the appropriate ways to address it. Information gathering skills involve the collection of information around the situation and the formulation of questions that will clarify it. Remembering skills involve encoding and recalling, which are both directly linked to mnemonics. Organizing skills include comparisons, categorization, sequencing and visual, verbal or symbolic representations.